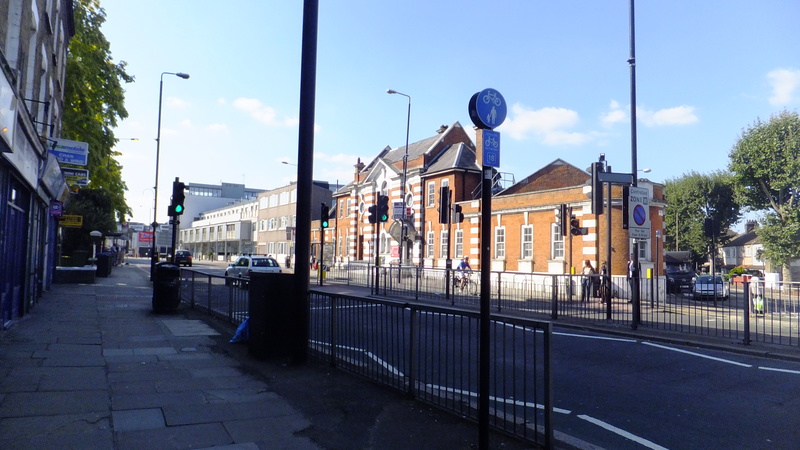 The recent issue over late-running street improvements near Ikea in Greenwich has revealed some details of subsequent, separate schemes in the area. 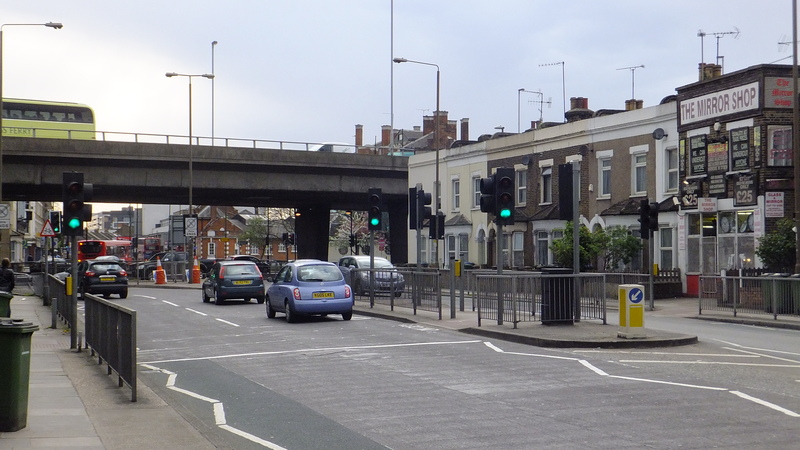 Work on Woolwich Road and Westcombe Hill via a “local safety scheme” has been pencilled in. Originally it was going to start this month – though a reply from Greenwich Council’s press office to 853 suggests this summer. It says “potential works” as dates are not finalised but work appears to be in motion. I walked this route four years ago and wrote a post about it. It was awful. I walked it last week to the Ikea preview event. It was still awful. Having asked around no one seems to have any knowledge of what the forthcoming scheme entails. There’s absolutely no information in the public domain. 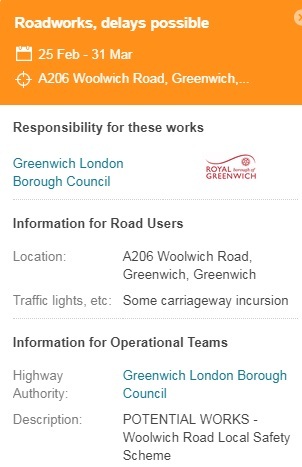 UPDATE: Documents have just been uploaded to Greenwich’s site revealing two schemes but no details. One will see £100,000 spent and the other £490,000. But where’s the consultation? This is an all too common event in the borough. Platforms to do such as CommonPlace exist and have been used in the area but why not for other projects? We may possibly have to go through a torturous route of freedom of information requests or emailing the authority and hoping something turns up within a month. It’s painful. Consultation early on in the design stage could eliminate design flaws seen all too often with street changes. We’ve seen it recently in Abbey Wood where a scheme saw two serious accidents weeks after completion. Maybe nothing will happen? It wouldn’t be the first time. A number of schemes planned for the area seemingly disappeared. £100,000 at the Woolwich Road/Blackwall tunnel approach roundabout. I don’t recall anything happening. If it did please leave a comment below. 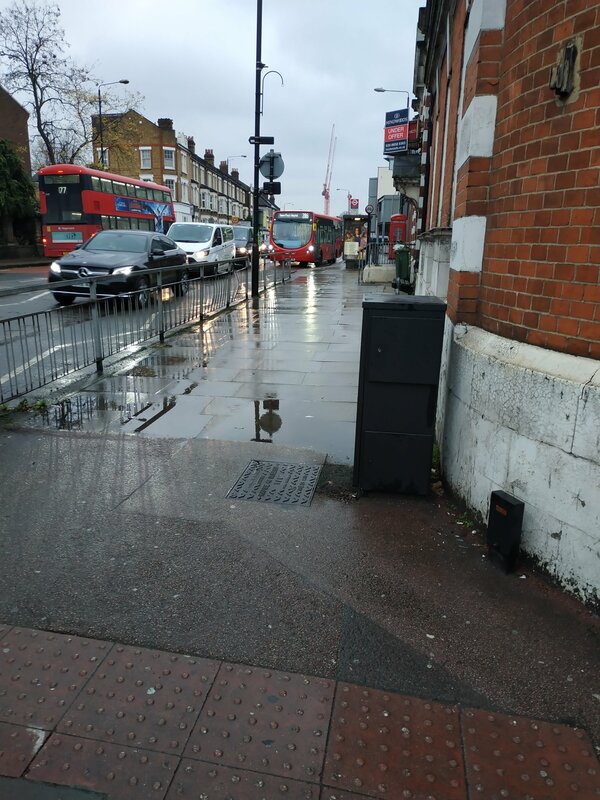 £150,000 wouldn’t have rectified the bulk of issues – which require multi-million pound work and investment from TfL – but could have improved some of the obstacles faced by pedestrians and cyclists. Will anything happen in coming months? Will any consultation occur? One to keep an eye on as £590,000 is a decent sum of money. The council have a history of not meeting walkers and cyclists needs at this site. Walking used to be even worse as people use to break the metal barriers down to walk across the slip road to the motor way. Eventually the council conceeeded to this obvious local expression of desired walking routes and built a crossing. Cath. You are quite right about that barrier and the problems – but please – I was one of the local councillors then and honestly it wasn’t the council who wouldn’t cHange it. I personally spent a lot of time with local residents taking photographs of what was going on in order to persuade Transport for London to change it because everything on that roundabout has to be agreed with them. And I’m sorry if this sounds if I’m justifying myself and making things up. Local counsellors get blamed for most things so I am used to it. i’m trying to remember what changes went in on the roundabout in 2001 .Transport for London put a lot of wiring in around that point which was stolen one night because they had no security on the site. Murky have you tried emailing the local councillor if you are getting nothing from the press office or the website? It is truck-load of money so you’d think they’d be keen to promote it. Two out of three refuse to talk to me. I know however that at least couple of local people have contacted them and are awaiting answers.